My story: I’m Stephen Jarvis and I live in St Austell Cornwall. I had my kidney transplant in 2004 and since took up athletics. 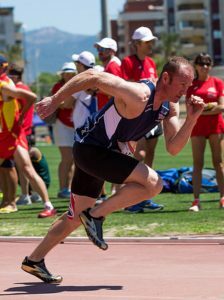 In 2016 I took part in the British transplant Games, Liverpool, where I qualified for the World transplant games, competing in 100m, 200m, 400m, high jump and both relays. It’s been a really hard year having to train extra to get my fitness up and above normal, more to do with having a back issue. My cartilage had worn away between my L1 and S1 vertebrae putting pressure on my nerves running down both legs, causing pain and discomfort (part and parcel of having immunosuppressive drugs). In March 2017 I had 2 facet joint injections in my back, one worked, the other made it worst down my left leg. Every session had become painful. Determined to make it I pushed on. In June 2017 I had to compete, the pressure was on. The GB team physio had nothing to help and had run out of ideas. She then came up with a thought to try RockTape over night before the race. I woke up in the morning pain free for first time in months. New RockTape was then applied for my races. I felt so good it was like having a new leg. Smashing 4 world records and 6 gold medals later I’m sold! I couldn’t have ran or felt any better. It simply removed the nerve pain I had for last 4 months competing and enabled me to run my perfect race. And to top this I was the 4th fastest British athlete this year for my age group. And now have the opportunity to race at the World athletics Master next year. Massive thanks to Rocktape, none of this would have come true. Made my moment in history. 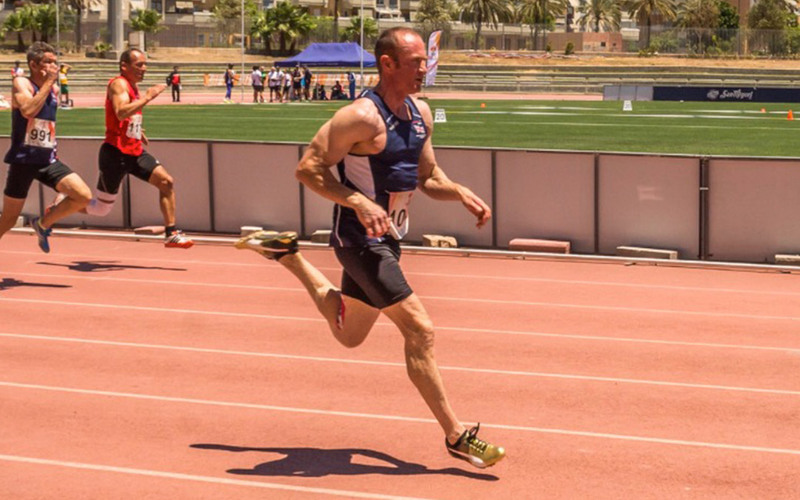 Enables me to run an Olympic qualifying time at 41. Still hasn’t sunk in.